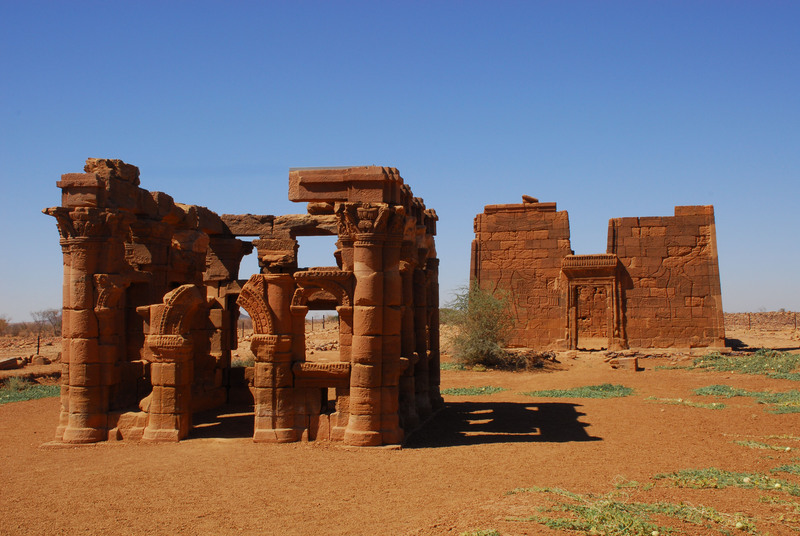 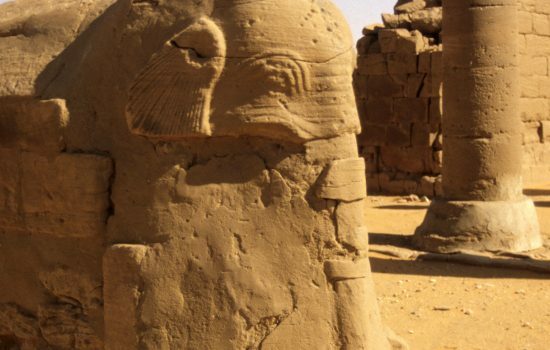 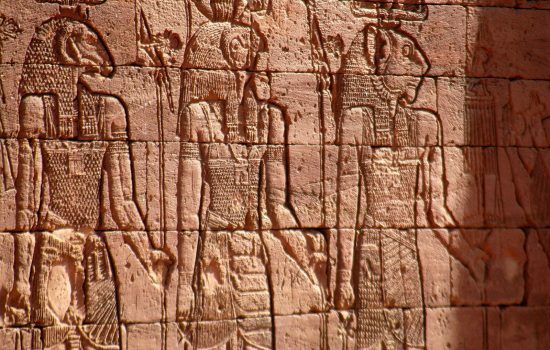 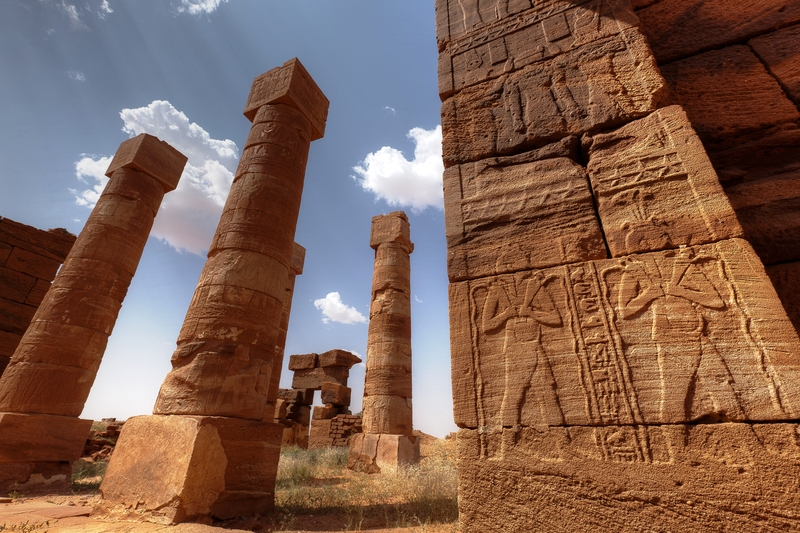 The site of Naga is located about 30 km to the east of the Nile, at 130 km north of Khartoum and it is one of the two centres that developed during the Meroitic period. 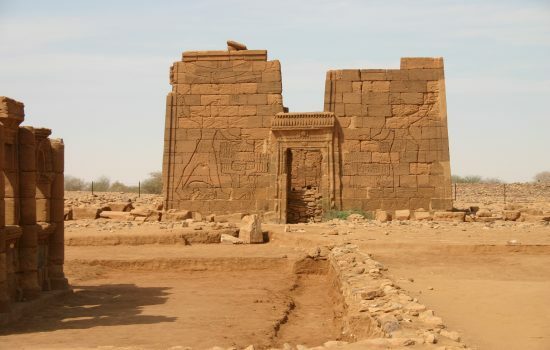 In Naga, in a typical Saharan environment with rocks and sand, there is the Apedemak temple (1st century a.D.): a wonderful building with bas-relief decorations with the image of the god with the lion head, of the Pharaoh and of the noblemen and several ritual images of the Apedemak god. 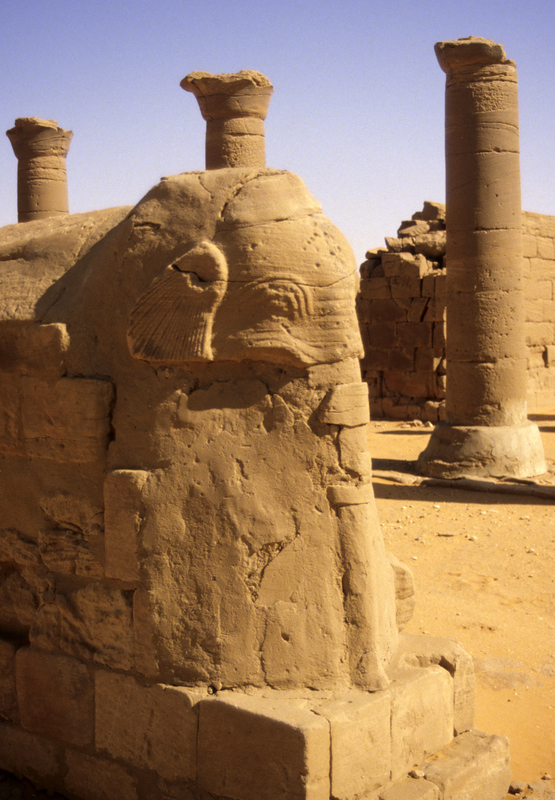 A few dozens of metres away there is a small and odd construction with arches and columns, named “kiosk”, in which we can notice the Egyptian, the Roman and the Greek architectural styles all in the same building. 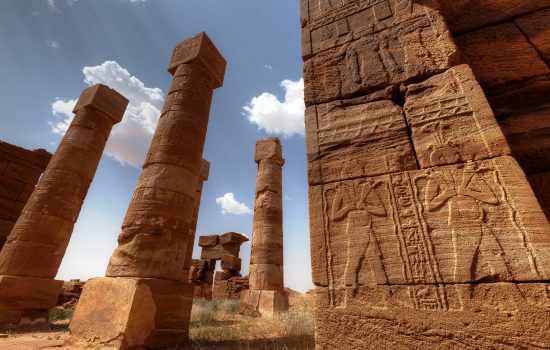 Not far away from here there is another temple dedicated to the god Amon with many statues of rams and beautiful temple entrances decorated with bas-reliefs. 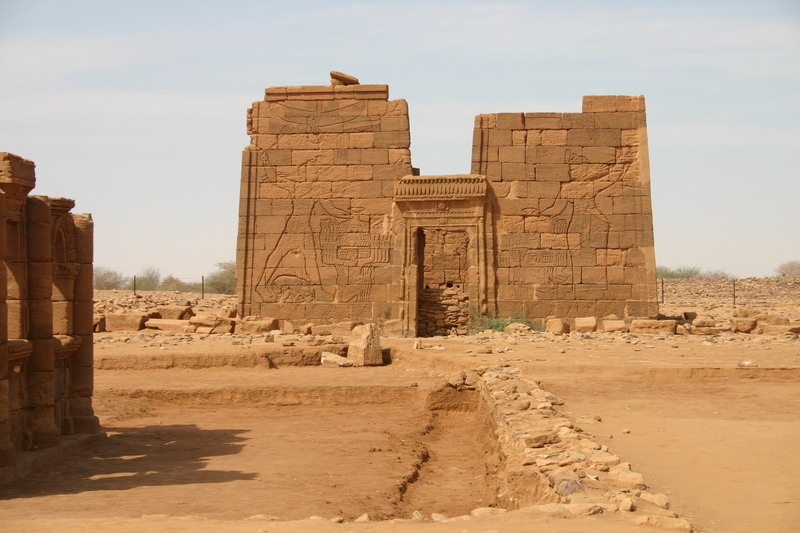 Mussawwarat El Sufra, not far away from Naga is located in a beautiful valley crowned by hills. 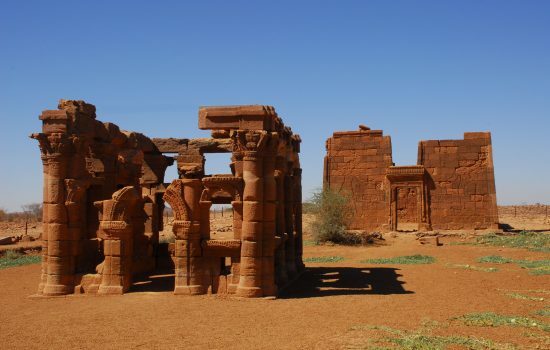 Here the ruins of a very big temple are visible; it once played an exceptional important role. 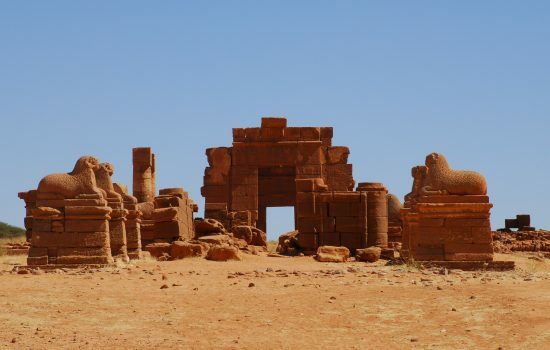 Its main characteristic, the Great Enclosure, is made by many constructions and boundary walls which surround a temple built in the 1st century a.D. 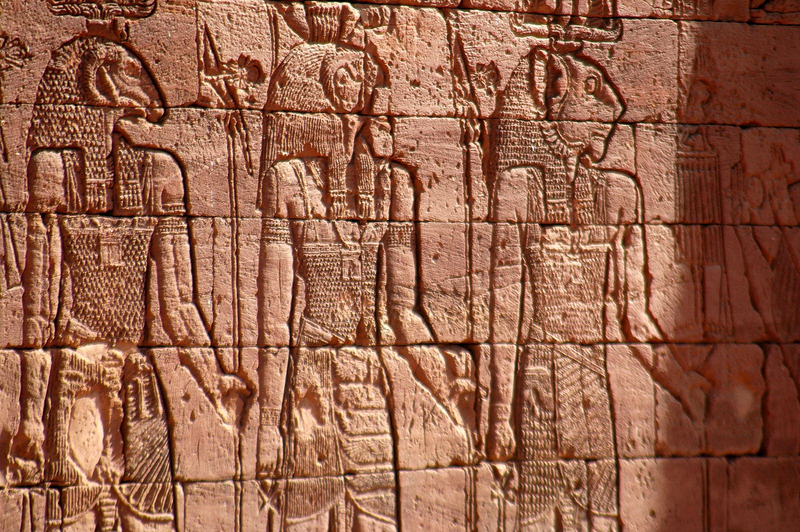 The large number of elephants represented on these walls makes you think that this animal used to have an important role in this area. 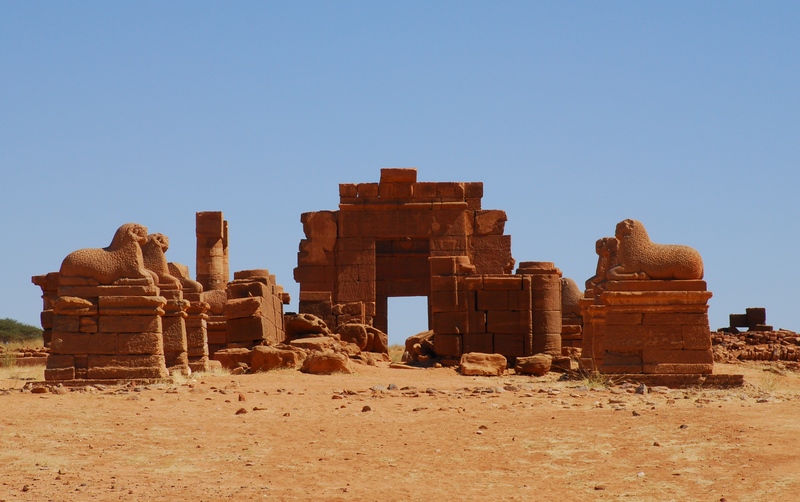 Beyond the big wadi there is also a Lion Temple – restored by a German archaeological mission – dedicated to the god Apedemak.